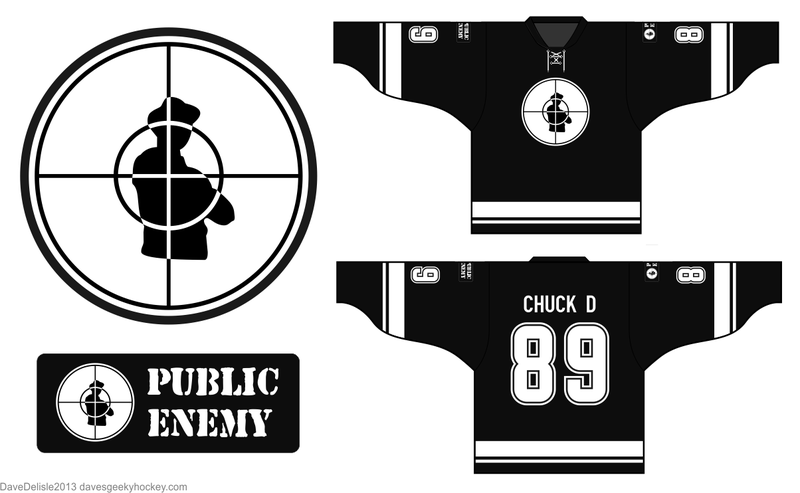 As promised when I did a Wu-Tang hockey jersey design last year, here is a Public Enemy jersey. As you can see it looks almost identical to the Spaceballs jersey, that’s because I made this just before that design was posted. The Ben 10 jersey is old news, but the Alpha Flight design hasn’t been posted here (was previously something I posted on Facebook). It got a good reception, maybe offer it for Canada Day? The maple leaf actually extends to the back too, but It made reading the back number difficult, no matter what I did color-wise for said number. 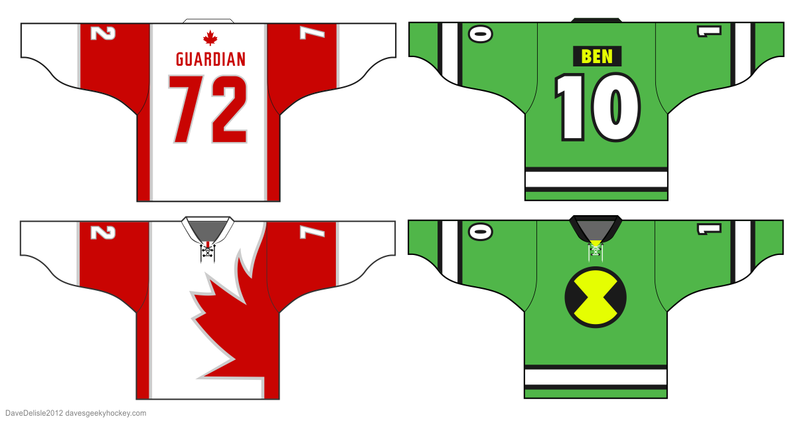 Posted on April 8, 2013, in Geeky Jerseys, Hockey Jersey Design and tagged Alpha Flight, Ben 10, Geeky Hockey Jerseys, Highlander, Hockey Jersey Design, Logo design, Public Enemy, Spinal Tap. Bookmark the permalink. 1 Comment. I love the “cheesy” look of the Immortals logo. Would make a great Jersey as is.